Perry Building Contractors believes that NO JOB OR NO TASK IS MORE IMPORTANT THAN WORKER HEALTH AND SAFETY. Every procedure must be a safe procedure. Shortcuts in safe procedures by either foremen or workers will not be tolerated. If a worker observes any unprotected job, which may pose a potential threat to their health or safety, he or she must inform management and management must take adequate precautions. IF A JOB CANNOT BE DONE SAFELY IT WILL NOT BE DONE. OUR FUTURES ARE ONLY BUILT THROUGH OUR PEOPLE. WE AIM TO PROTECT THEM. A. Using a qualified safety person. B. Making regular job site safety inspections. C.	Enforcing the use of safety equipment. D.	Following safety procedures and rules. E.	Providing on-going safety training. F.	Enforcing safety rules and using appropriate discipline. 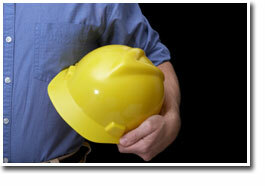 Contact Perry Building Contractors to learn more about their safety program.